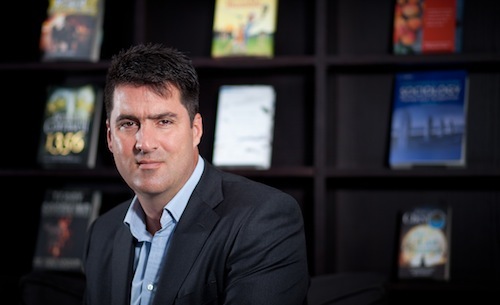 Can Charlie Redmayne Lead HarperCollins UK to Victory? Charlie Redmayne will speak at the PublishersLaunch Frankfurt Conference about becoming CEO of HarperCollins at 10:30 a.m., October 8, Hall 4.2, Room Dimension at the Frankfurt Book Fair. In addition, he’ll appear on the Publishing Perspectives Stage, October 9, Hall 8.0, N170 from 11-11:30 a.m. in conversation with Publishing Perspectives’ Editor-in-Chief Edward Nawotka. More consolidation both among publishers and agencies, the importance of adding value, and a desire to push digital into places perhaps not yet thought of are among the issues exercising Charlie Redmayne, the new CEO of HarperCollins UK. Barely two months into the job he says he is feeling “immensely energized” and he has a clear vision of the kinds of areas he wants the company to explore. 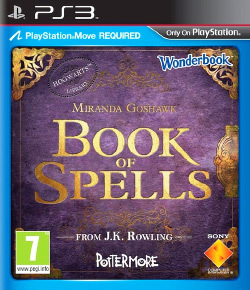 “One of the things I tried to do at Pottermore [the Harry Potter online experience and e-store which he headed up from 2009 to 2011] was to start thinking beyond the business that is ebooks. Now, ebooks are going to be a hugely important part of what we do, and a growing marketplace and a fantastic way for people to read books. But it’s not the limit of digital opportunity. On the question of where the ratio of print to digital will settle he smiles. “There’s this attitude that things settle. I don’t ever see anything settling. I think that industries permanently change and I think that people within industries are permanently innovating and creating new ways and I think that in ten years time we’ll be sitting here telling stories on platforms we haven’t even considered yet. So the answer to that is I don’t know. HarperCollins’ annual Author Party last year coincided with Barnsley’s departure and turned into her wake. The historian Max Hastings gave an address in which he famously likened publishing to “Paris in the last reign of terror — they’re setting up the guillotines.” He was hamming it up, of course, and exaggerating because he had the stage — but one wonders how Redmayne sees the industry. He smiles again. “I love Max Hastings, but I wasn’t there to hear that speech. I see publishing as an industry with terrific potential and in rude health. I think there are very considerable challenges that we all have to face, not just publishers — I’m talking about agents, I’m talking about retailers, everyone in that value chain. You need to understand if you’re in the value chain how you add value as change happens, and we will do that. Some agents are already changing, he notes, adapting to the blurred lines that are becoming common now. “People like Jonny Geller at Curtis Brown, people like Neil Blair at the Blair Partnership actually becoming producers of content, producing television programs themselves. You’ve got some of them looking at direct sales businesses, digitizing backlist ebooks that are not being digitized by publishers quickly enough, taking the rights and selling them direct to consumers, or through other retail channels. So they’re becoming kind of retailers, or indeed publishers, and pushing it through to retail channels. After the army he moved into the entertainment and communications industry, starting at UK-based breakfast TV business TV AM, and then founding his own businesses, RCL Communications and Blink TV. In 2000 he moved to one of the UK’s leading web publishing businesses, MyKindaPlace Ltd, which was sold to Sky in 2006 where he became Head of Commercial Partnerships before moving to HarperCollins as Chief Digital Officer in 2009. Then came Pottermore in 2011 and his subsequent return to HarperCollins, only this time to that top-floor corner office with the fancy view. Married with a 16-year-old daughter and 12-year-old son, his home is in Wandsworth, in south west London. He plays cricket for the Hurlingham Club and lots of sport with his son. And he reads, a topic on which he has engaging honesty. “I’m incredibly lucky in that, contrary to popular opinion, I am passionate about books, so the opportunity to read the books that we publish is very exciting to me. I cannot pretend that I read all our books, and I couldn’t possibly read all of our books. But I like to read a lot of our books, and read some of most of our books so that I can understand the publishing that we do.